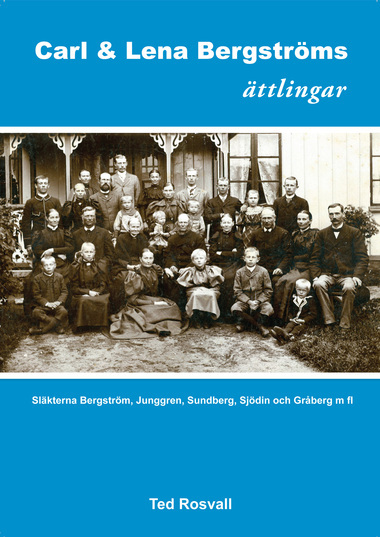 This is a detailed genealogy of the descendants of Carl & Lena Bergström of Östergården, Skånings-Åsaka near Skara in Sweden. Carl Bergström (1826-1910) was a man of many talents, an intellectual and a religious man as well as a farmer and a carpenter, very successful in every field he tried. In 1850, he married Lena Junggren (1828-1901) and built their new home at Östergården, which is also where their 10 children were born. Five of these children formed families of their own and there are in all around 260 descendants, 24 of whom in the USA, the latter descended from Alma Gustava Bergström/Sundberg (1863-1932). The introduction and conclusion is in the Swedish language. The rest, over 60 pages, are non-lingual, a genealogy that can be read and understood regardless of language. 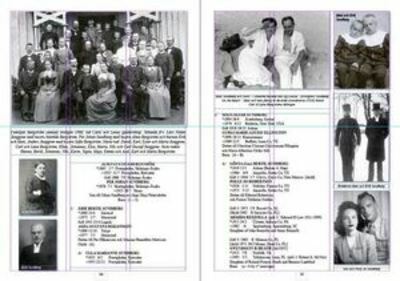 Sample spread (Sundberg branch) from the genealogy section of the book.